The work of Akiteru Kawai is profoundly influenced by the Japanese Folk Craft Movement (Mingei) and its founders, Soetsu Yanagi, Shoji Yamada, Bernard Leach and his great-granduncle Kanjiro Kawai. Try your hand at preparing a cup of matcha tea the same way as it is done during the Japanese tea ceremony, and after drinking it you can observe different pottery-making processes. 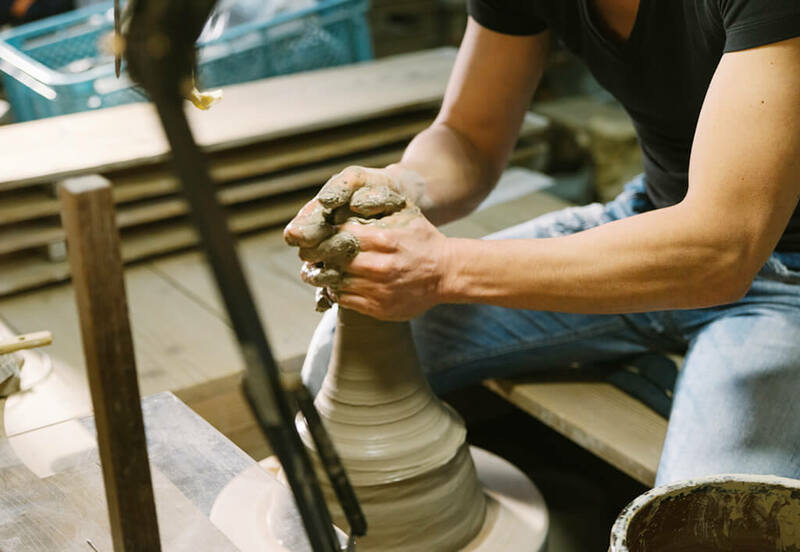 Enjoy a once-in-a-lifetime moment in a quiet space, surrounded by unique items crafted by 3 generations of potters.